Our company holds several functions during the year to offer our team a chance to meet and enjoy each others company. Informal activities like baseball, our annual golf tournament and curling are company favourites. 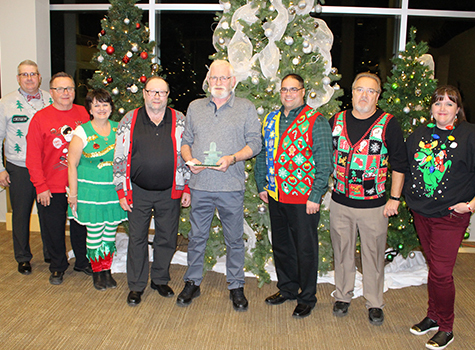 But the Annual Dinner & Awards night and Children’s Christmas parties (Drumheller, Red Deer, Calgary, Edmonton) are events that create memories that are remembered long after the events are over. In the past, Team 9 has hosted an annual Family Fun Day, and now to keep things interesting we have our “Good to Great” program which allows 16 annual winners within our company each year. This evening is considered our pinnacle function to honor the year's best and a big Thank you with in the entire team.